"Um, I think you could generalize this to, "Study Says Avoid Obvious, Idiotic Scams"
"Don't grace so-called 'colon cleanses' with even the dubious term, 'alternative therapy.' This nonsense is the only 'treatment' out there that is more stupid than homeopathy. At least with 'homeopathy' you're just drinking water - you get nothing for your money. These 'cleanses' not only do not help, they can be damaging and/or toxic - you pay to be hurt!" So what is this groundbreaking study in The Journal of Family Practice that has definitively driven the nail in the coffin of colon cleansing and got people so worked up?5 Well, imagine my surprise when I went to the Family Practice website and found that there's nothing even approaching a study there. There was no research conducted. There wasn't even a meta-study examining previous research. What there was was a short opinion piece -- approximately 1,800 words -- by some family practice doctors giving their opinion of colon cleansing, which they supported with some cherry-picked references to previous studies and opinions and some personal experience with patients who came to their clinic. Really, follow the link and check it out for yourself. Understand, I have nothing against opinion pieces. These doctors are absolutely entitled to express their opinions and share them with whomever they please. Heck, most of the newsletters I write are exactly the same thing -- opinion pieces backed by references. No, my complaint is not with the doctors, or even The Journal of Family Practice. It is with the media that picked up on this opinion piece and cavalierly labeled it something it is not: "a study." They also referred to the "study's findings." Again, there were no findings; there was no study; it was an opinion piece. Look, I understand that with reduced budgets most reporters no longer have the $30-50 needed to purchase access to the complete articles as published in peer reviewed journals. Hey, I know I resent it when I have to purchase every study I'm called upon to comment on. I realize that in most cases today's reporters merely rewrite press releases or AP news service stories because of budget constraints. But in this case, there is no excuse because The Journal of Family Practice published the article online -- at no cost. To not even look at the article and realize that it was an 1,800 word opinion piece is inexcusable. Oh, and lest I forget, let's make mention of the media's penchant for hyperbolating their headlines -- especially when it comes to alternative health. "Trendy colon cleansing a risky ritual"? I mean, really? Maybe it's just my imagination, but it seems that serious news services are becoming more tabloid like by the day. We really are only one step away from a headline that reads, "New study proves colon cleansing spawns alien babies!" There are many things I may disagree with Sarah Palin on, but on one thing we are in total agreement: and that's when she refers to the mainstream media as the "Lamestream Media." Their performance in this case is totally lame. Incidentally, that said; let me offer another point of view to the article's contention that when it comes to intestinal health doctors are nothing but good and alternative health practitioners nothing but dangerous frauds. For decades, doctors mocked alternative health practitioners who spoke of bowel pockets and herniations of the colon as quacks -- stating that, "We perform countless autopsies and have never seen one bowel pocket." Well, those bowel pockets are now called diverticula and according to the Merck Manual, the physician's Bible, every American will have many if they live long enough. Score one for the alternative healers. For decades naturopaths insisted that our diets did not include enough fiber and that we needed to eat more whole grains and take supplemental soluble fiber. Again, they were mocked. I don't need to tell you how that one turned out. Score another one for the holistic community. Under the watch (and guiding opinions of modern medicine), intestinal problems are now the single leading cause of hospital visits -- unnecessarily blowing billions and billions of dollars out the rear of national budgets. When you think about it, the medical community isn't doing very well here. Why didn't even one reporter mention any of these issues -- just to be "fair and balanced" -- when relaying the details of the latest "study?" I'm just asking. For more information about intestinal cleansing, visit Phase One of our Detox Program. 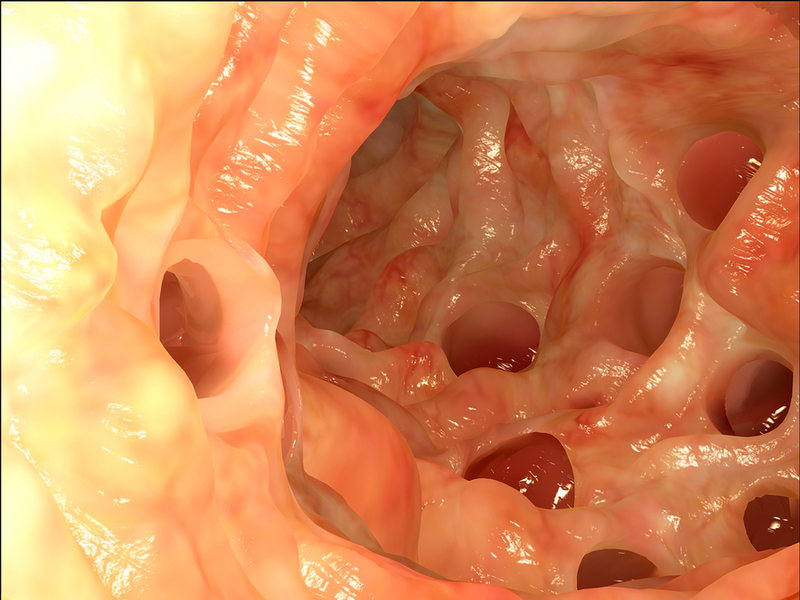 Colon cleansing saved my life! I had the worse digestive system in the world and after going to drs and gastroenterologists to tell me I had flatten villi in my small intestine and diverticulitis in my bowel and they could do nothing for me, I turned to holistic reading and found a great book called "Detox for Life" written by Loree Taylor Jordan, a colon hydrotherapist in CA. Yes, thinking about this process was intimidating at first, but my problem was bigger than my fear and I went every week for a year to a certified colon hydrotherapist and my digestive system now works better than ever. After 10 months I had a full body scan (thermography) and was told I had "NO" diverticulitis and no new venous growth (no cancer). I personally know several people who have had their colons blow out because of colonoscopies and no one has ever had a problem with colon hydrotherapy. I'm 68 yrs old and feel better today than I have in many years and its all because I found colon hydrotherapy. Submitted by Joanne Oswell-Jones Ir Clinic Director at Simply Equilibrium; The centre of colonic hydrotherapy & natural health in Kent, Tunbridge Wells. Interesting blog. Having been in the field of natural health for over 14 years it’s no surprise that there are articles/views/opinions with an objective to damage the reputation of colonic hydrotherapy and its importance as part of our health & well being. The reason being is that it works, it's powerful, it helps to achieve vibrant health, empowers a person to take sole responsibility for their health above all really plays an important part in feeling fit healthy and fantastic. "Man is what he eats sleeps & thinks". If you are filling your body full of processed, devitalised foods of course this will have a bearing on your ability to be the very best version of yourself as well as your organs to perform the jobs they need to perform. I would like to demonstrate to any ‘sceptic’ how to feel great look great and see how colonic hydrotherapy, good nutrition & natural health really works. Personal responsibility for your health is paramount if you want to look and feel your best - at ANY age. I commend Bobby (above) for doing the background research and taking the necessary steps to improve his health. A few words of advice for those of your contemplating colonhydrotherapy. 1. Research the establishment and make sure that they have certified colon hydrotherapists on staff. 2. What professional organizations does your therapist belong to? 3. Find out the type of equipment used in the facility. At Sashaa Wellness in New York we use the Libbe System for our colon hydrotherapy treatments and have been supporting our clients who undergo cleanses and medical detoxification treatments. Review and compare all the latest and best colon cleansing products available today and choose colon cleanser to cleanse your colon safely and effectively. Every one who writes any critique articles should not be allowed to do so without trying the topic on himself first. Author should try the colonic and write the article if he doesnt feel much better after that. Without an experience, your article dear is POINTLESS. Colonic works and saved many peoples lives. Traditional medicine doesnt want to admits it because people are getting healthier and not spending that much on treatments and doctors. Get use to it, IT WORKS! My dear friend is a colon cancer survivor due to colonic. The importance of finding a reputable and certified practitioner with any type of therapy is paramount, especially with therapies that are considered invasive. Our clients have fantastic results with colonic hydrotherapy alongside their detox programmes.